Custom school magnets are promotional magnets sought by schools for improving their visibility and raising school spirit of parents and students. 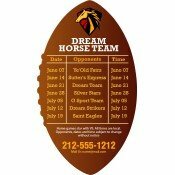 We only deliver high-quality school spirit magnets which are affordable, fun and effective. These full-color promotional magnets offer long-term visibility and help to raise awareness about the school. Perfect for mass distribution because we offer exciting discounts on wholesale orders on school magnetic tools! Save on efforts, time and money by investing in these custom magnets. School refrigerator magnets and school car magnets are effective, low-budget promotional tools and serve above expectations. Designed for refrigerator, car bumper or filing cabinets, these school magnets are sure to act as spirit boosters. Customized magnets remain vibrant year round and build excitement through their continuous exposure. Customized magnets printed with school logo, mascot and contact information attracts huge attention. It has long shelf life than any other promotional material. 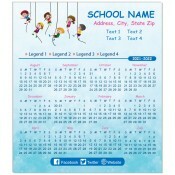 The main advantage for schools investing in these promotional school magnets is stability that it offers. Schools have been investing in huge billboards, flyers, business cards and other regular promotional items to gain business advantage. However, with lots of others following the same pattern of marketing, start-up schools may fail to make the right impact. Promotional magnets not only offer a new medium for positioning business information but also ensure easy acceptance by masses and regular visibility. People would be happier to display them over their refrigerator doors or cars and talk about the school with pride. 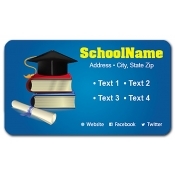 School Contact Magnets – Easier way to stick your school contact information! 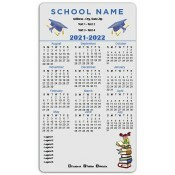 School Schedules Calendar Magnets – Perfect way to calendar school schedules! Day Care Center Business Card Magnets – Make your day-care center’s contact address stick on refrigerator doors. 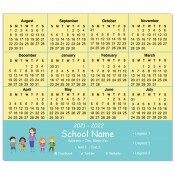 Elementary School Calendar Magnets – Raise awareness about the value of elementary school education. High School Calendar Magnets – Make studies a high priority for them! School Sports Schedule Magnets – Stir sports spirit and school spirit in them! 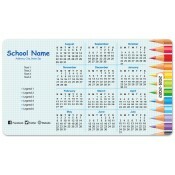 School Academic Year Calendar Magnets – Keep them connected from the first day of school. 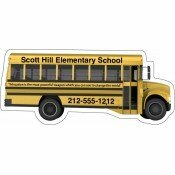 School Bus Shaped Magnets – Offer them reason to remember their school and school time. Our selection is crafted on the popular sizes of rectangle and square magnets, bus shaped magnets, sports shaped magnets and more. We offer free art setup, free online design proof and free shipping on all orders of customized magnets. We encourage extravagance with the choice of colors! Therefore make the most of our free full-color printing. To know more about customized school magnets, feel free to contact us at 855-762-4638 or write to us at info@cmagnets.com.